I saw this picture on the Leading Hotels of the World website but I can’t find out which hotel it belongs to! Any ideas? 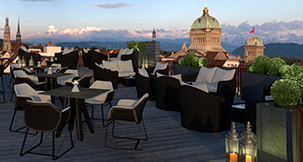 The hotel in question is the Schweizerhof in Bern Switzerland.